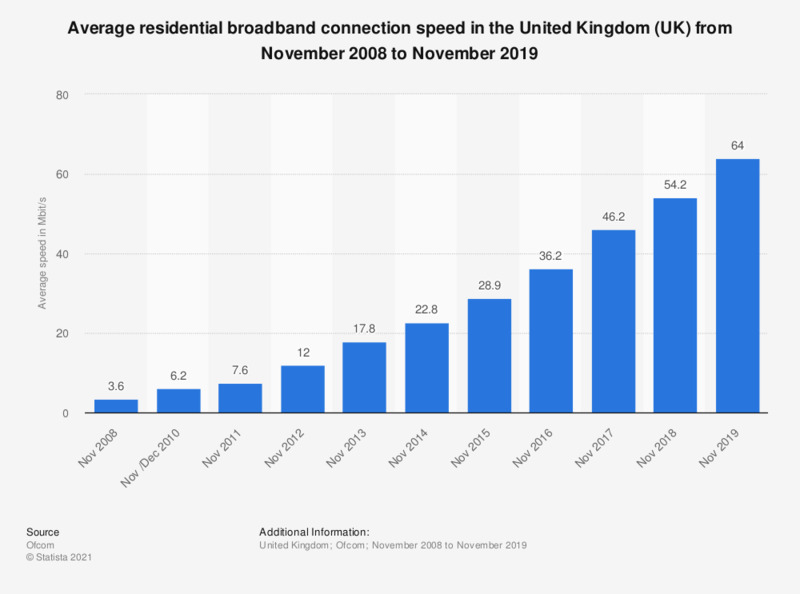 The statistic shows the average residential broadband connection speed in the United Kingdom (UK) from November 2008 to November 2017. The average residential broadband speed reached 22.8 Mbit/s in the United Kingdom in November 2014. The broadband speed was following an increasing trend, and it reached 46.2 Mbit/s in November 2017. The residential broadband connections speeds in the United Kingdom varied in general from 8 Mbit/s to 100 Mbit/s and higher. Specifically, the broadband connections speeds varied around 30 Mbit/s.